Cheap holidays in Dubai is like a dream because the word Dubai and cheap do not complement each other. The city is ranked as the most luxurious and expensive cities in the world, this is where the rich come to cruise and billionaires come to shop. Dubai is known for its tallest skyline and it is known to the proof that man can make impossible happen once he sets his mind to it. In just mere 20 years, the city evolved from the warm sandy desert to the city that offers the finest things on the planet. It is a like a billionaires dream come true, from the shopping malls full of brands to some of the ice parks right in the middle of the hottest desert, Dubai has the ability to surprise everyone. There are multiple recreation options and every attraction is made with so much precision that it mesmerises the human mind. Ranked as the fourth most visited place around the globe, Dubai is known as King of Desert and the favourite destination for the retail therapy. 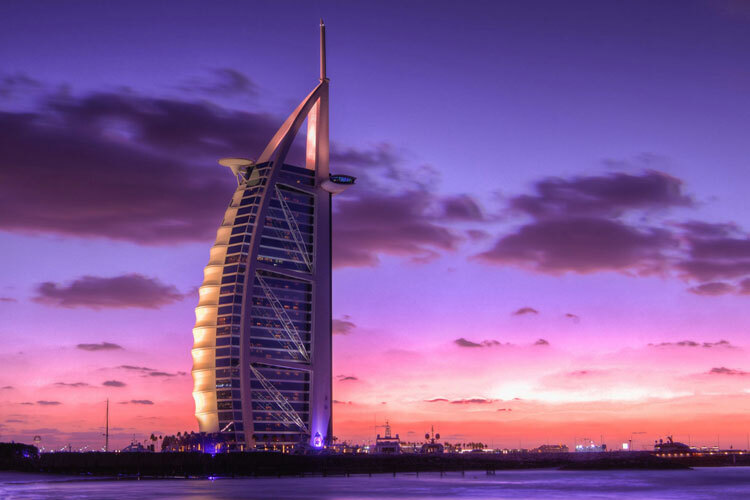 If you are on a budget and want to spend a cheap vacations in Dubai that is full of entertainment, you must know some of the most beautiful yet economical destinations in Dubai. Here is a list of some of the most beautiful destinations where you don’t have to spend too much money. Dubai Miracle garden is known to be the largest flower garden in the world. If you like natural beauty and admire flowers, this is a definitelya place to visit. With over 109 million flowers on display, most of the people find it very hard to resist the temptation of making a bouquet out of it. The flowers are arranged in various designs by using props and other flower arrangement styles. 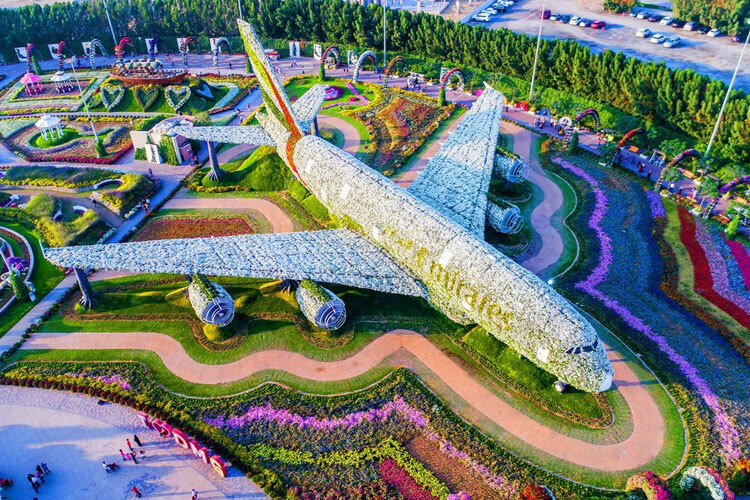 There is a heart-shaped pathway, a full-size house, a floral plane, Mickey Mouse and even the famous Egyptian pyramids, and everything is made with different species of flowers. A professional team looks after the garden so, the tourist can experience the beautiful arrangement and freshness every time they visit the place. Another treat for every nature lover is butterfly garden that is located in the miracle garden. The butterfly garden has over 15,000 various butterfly species and they are also taken care of by a team of specialists. The tourists can also witness the transition of the butterfly from caterpillar to an adult butterfly. There is also a butterfly and insects museum, which is best for kids as they learn about the butterflies while they witness their beauty. The waterpark is located at the Atlantis on the Palm Jumeirah. If you thought Dubai was just a sandy desert, wait till you see this beautiful man-made island, Palm Jumeriah. Aquaventure is a water park but it is not your ordinary water park, just like its founder, Dubai never settles for anything average or ordinary. 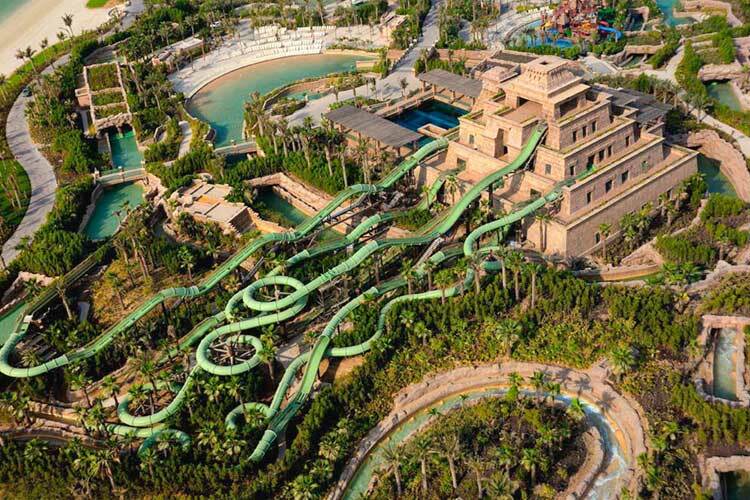 Aquaventure consists of the longest water slide in the world, the nine story tall water slide, is the dream of every adventure enthusiast and it is known as a leap of faith. If you like exploring and taking risks, this is definitely the place you will fall in love with and that’s not even the best part. The park also has an underwater safari and a 7 hundred meters long white sand beach where you can enjoy. For kids there is a water play area with smaller slides and shallow water, so you can relax and let them play. When in Dubai, Burj-Al-Arab is one place that you don’t want to miss, this building is the living proof of the Dubai dream. With 321 meters height, this building holds the record to be the world’s tallest hotel. The building is decorated with lights every day according to the occasion, which is an event in itself, on the New Year Night, the lighting and firework show is worth watching. One night stay in the hotel costs around 15000$, which makes it one of the most expensive hotels in the world. Since it is too expensive, accommodation in Burj-Al-Arab might not be the first choice for a cheap vacation in Dubai, for this reason, you can enjoy dinner at the underwater restaurant AL-Mahara. You can visit the place via main entrance or you can make a royal entrance by using the Helipad, Burj-Al-Arab is where the royals from all around the world come to relax and enjoy cheap holidays in Dubai. 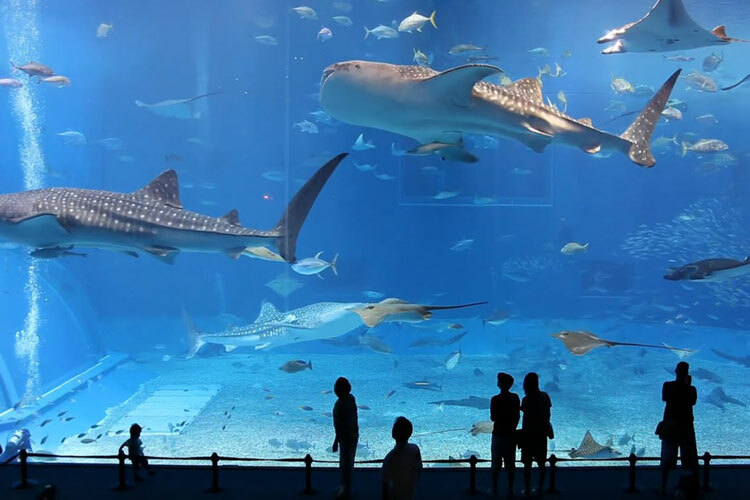 One of the top tourist attraction, Dubai Aquarium is a must visit site. It is the house of more than 140 marine species, the aquariums located on the ground floor of the famous Dubai Mall. So, while other people enjoy shopping, you can feast your eyes with the beautiful marine life. There is something about a tank full of giant beasts separated by a glass wall that lures the adventurer enthusiast in every one of us. If you really want to experience the action, trip on the top of the tank in a glass bottom boat is something that you must add to your bucket list. Moreover, the tour with the giant beasts of the sea Shark and cage snorkelling is also offered where you can enjoy and watch them while diving in the tank. Burj-Al-Khalifa the tallest building in the world or the most famous landmark of Dubai. It is the building that is the crown jewel of the Dubai skyline, the building is 829.8 meters tall. Although the place is a wonder in itself, the view from the observation deck on the 124th floor is breath-taking. Dubai is the royals of all cities, it does not settle for ordinary and average. Surrounded by the gardens with walkways, the building also includes the tallest water fountain, the Dubai Fountain. 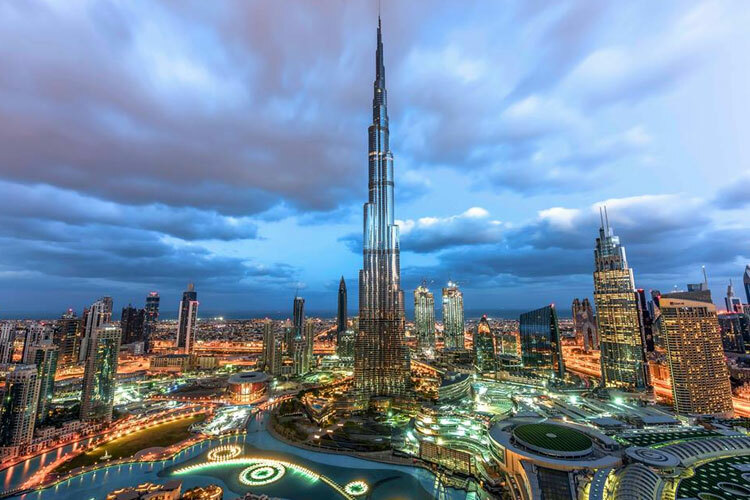 Since the place is a wonder in itself, it is mostly crowded with the tourists from around the globe, it is best to book an advance entrance ticket for BurjKhalifa to avoid the hassle.